James Schramko here, this video is about Office Autopilot. I like to review products that have been helping me in my business. This one has been a big migration this year. I actually went in to my old email provider Aweber and I migrated all of my customer records across into files and then imported them into Office Autopilot. And I’m using Office Autopilot as my central email system. What it did is actually shrunk my list down by about half. That means that of all the records that I imported, they used to be on separate lists. But what Office Autopilot does so well is it actually creates one record per customer and aside from the odd person who’s in your list with different email addresses, for the most part it shrinks down because most of my customers have purchased more than one product. The next thing it does really well is it has these sequential follow ups which also Aweber did but they weren’t as intelligent. Office Autopilot can do “if, then” rules. It can say well if someone has this product but not that product then send them this message and then if they do have that product, then take them off this list and add them to a different sequence. So that’s really good. Because of the tags they have, you can give them completely different follow ups and also when they join or leave a new cart item in my shopping cart, and I’m using Nanacast, it can talk to Office Autopilot and change the tags. So it can take someone off a for free tag and add them to a product tag. It can then, from that action recognize that it should actually move someone across to a new sequence. So this is really good for nurturing your customers. So when someone buys a new product, you can send them sequential follow up offering them assistance, extra video training, perhaps the next course but it’s also smart enough to say well they’ve already got the next course so we’ll go for a different one above that. It can then send the follow up saying, “Hey, I noticed you’ve just cancelled the subscription, could you give us some feedback. Would you like to go to this page here and get a special Sorry to See You Go Bonus?” You can do all these smart things without having to double opt-in because Office Autopilot is so clever. It recognizes if someone has already double opted in and confirmed that they no longer have to go through that over and over again. Whereas in Aweber people had to keep opting in. Now if they go to any form on any of my sites and apply for whatever it is, if the system recognizes that record it’ll just add them to that and it’ll then send them straight to the success page. They’ve got great customization of the smart forms which has been handy for our developer. And having all of my records in one place but being able to actually move them and have the right conversation with the right person at the right time is great. Another thing I’ve done recently is I’ve suggested people might want to get their weekly news instead of daily. So I can actually say, if someone clicks on the forth link in the email put them to the weekly news and take them off the daily news. And I just literally count the forth link and I actually have if you like you’d get your news weekly, click here, and that will automatically take them off daily, add them to weekly and send them to a page that says, “Thank you, you’re now in the weekly news.” It’s so clever, I love it. Incidentally the cost to me has been almost exactly the same for the monthly fee. As what I was paying with Aweber to have more records and the support and the team have been fantastic in Office Autopilot. 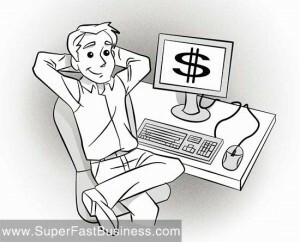 When you buy Office Autopilot through SuperFastBusiness, be sure to let us know. We’d love to give you a special bonus as our thank you. I recommend it. It took me about three weeks to migrate a large number of separate records across bit by bit. I’ve done it successfully; I’ve been using it now for long enough to know that it’s really improving my communication with customers. And it’s helped me build a much smarter relationship with my customers. And here’s the overall thing, it’s all about relevancy. If you can have the most relevant conversation on a frequent basis to your perfect target audience you will make more profit because that is exactly what’s happening in my business. Hi all, Briana here from Office Autopilot! So pleased to see all the positive comments about our software. We have some awesome stuff in the works….all of which will be announced at our first ever Internet Marketing Super Conference here in Santa Barbara on Oct 18-19. This is a great opportunity to see first hand what we are up to, hear from an amazing panel of speakers….and Santa Barbara is not the worst place in the world to visit. Looks like a great event Briana. I’ll be in Eurpoe at that time otherwise I would be there for sure!